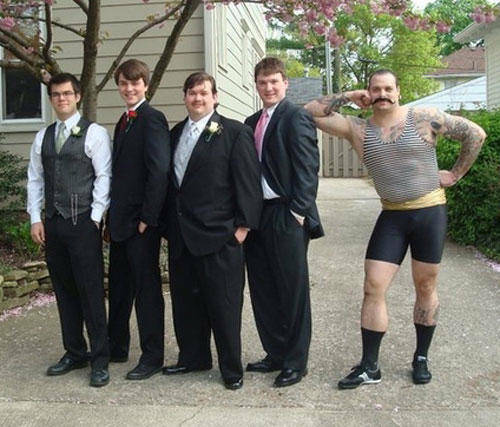 Most Awkward Prom Photos Ever. Creepy Uncle? Either this guy is that weird uncle we all have or they ran into him in a circus. 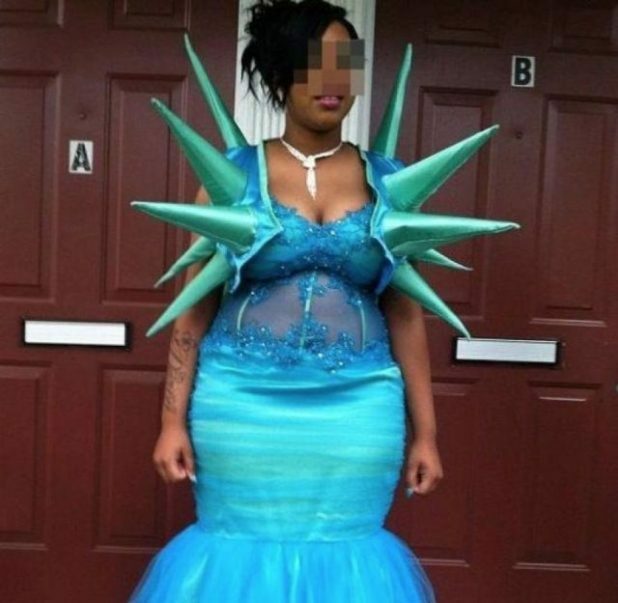 Do not even begin to dream that he may have shown up at the prom dressed like this? There is awkwardness, and then there is this. Pure travesty. Lady of Liberty. That dress would have been great but why miss an opportunity to mess yourself. She’s ended up looking like a character straight from a Sci-Fi. Just throw that jacket away young miss.